What actions make a hero? What characteristics describe a hero? How can words and pictures make people perceive someone as a hero? 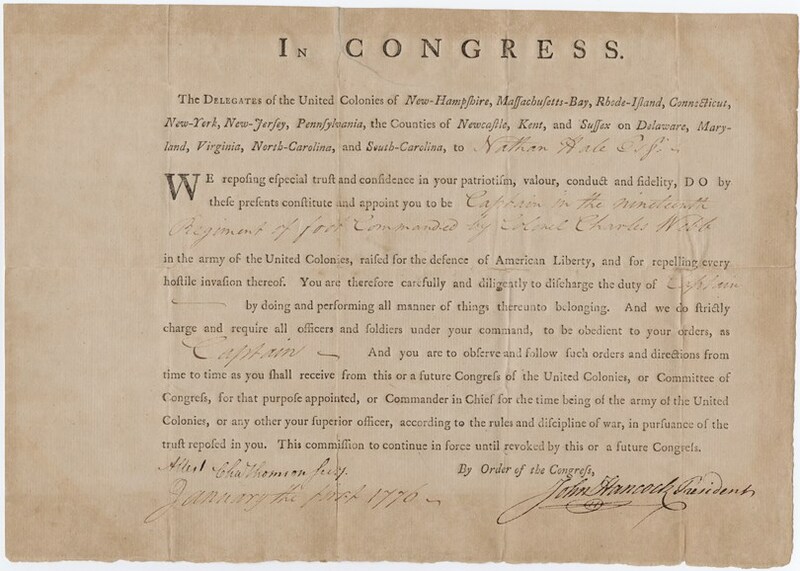 Document commissioning Nathan Hale a captain in the nineteenth regiment of foot command by Colonel Charles Webb. Signed by John Hancock – Yale University, Beinecke Rare Book & Manuscript Library. 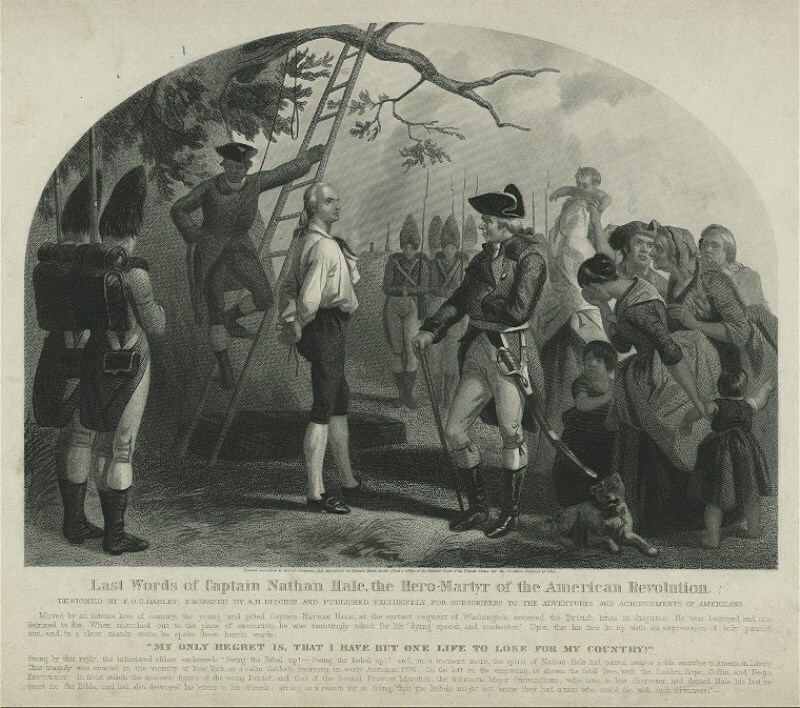 Last Words of Captain Nathan Hale, the Hero-Martyr of the American Revolution – New York Public Library Digital Collections, The Miriam and Ira D. Wallach Division of Art, Prints and Photographs. Start by asking students to define a “hero.” What characteristics or actions make a person a hero? Have students examine the document commissioning Nathan Hale as a captain in the army of the United Colonies. Students should discuss these terms and compare with their previous definition of a hero. Show students the illustration (created much later–in the 1850s) depicting the last words of Nathan Hale, just prior to his hanging by the British. What do students see/notice in the image? How would they describe the various characters in the image? What questions do they have about what they see? What guesses can they make about what is happening? Explain that the image was created about 75 years after the events shown. What do you think the artist’s purpose was in creating the image? What did the artist want you to feel about Nathan Hale? Libertson, Jody. Nathan Hale: Hero of the American Revolution. New York: Rosen Pub. Group, 2003. Smolinski, Diane. Important people of the Revolutionary War. Chicago: Heinemann Library, 2001. January, Brendan. The Revolutionary War. New York: Children’s Press, 2000.